Along with the entry-level Canon EOS RP full frame mirrorless camera, Canon has announced the development of six RF lenses which are expected to be released in 2019. MELVILLE, N.Y., February 13, 2019 – Continuing with the message of “optics at its core,” Canon U.S.A. Inc., a leader in digital imaging solutions, today announced that its parent company, Canon Inc, is developing six new RF-series lenses, further displaying the company’s commitment to the EOS R full-frame mirrorless camera system. Canon’s new RF mount allows for fast, light, and high-performing optics with a large opening diameter and short back focus distance. Each new lens in development will help fulfill the needs of amateur and advanced amateurs to professional photographers and videographers, covering critical focal lengths. In 2019, Canon’s already well-established optical lens heritage will celebrate a production milestone of 140 million EF and RF lenses and the celebration starts with the development announcement of these six lenses [i]. 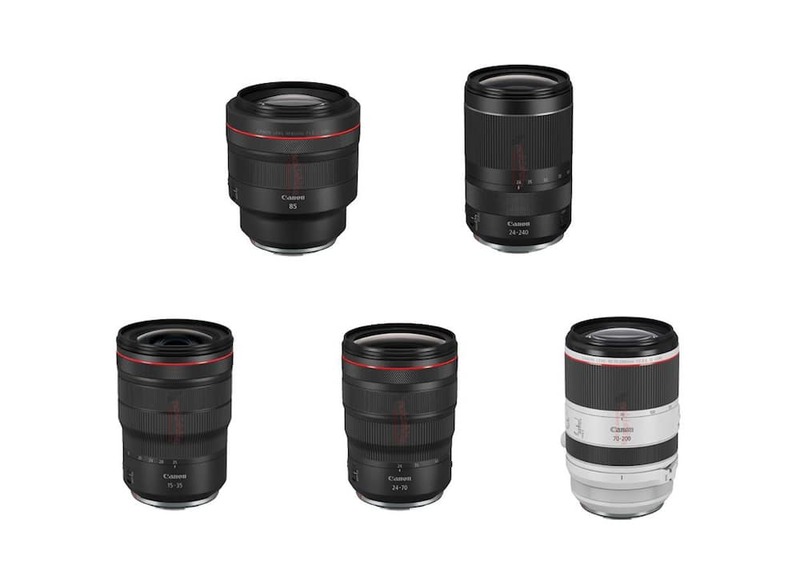 All six RF lenses under development are built around Canon’s new RF mount, which features a large 54mm diameter and shorter back focus distance than on current EOS DSLR cameras. In addition, the RF mount enhances communication and power transmission between the lens and camera body, which has helped Canon to achieve the world’s fastest autofocus speed for a full-frame mirrorless camera system[ii].